The launch of a new Pioneer CDJ has always been greeted with much interest and excitement, but in among the usual cries of “NEED ONE!”, “EPIC FAIL!” and “can I fit an Innofader?” are those who question the need for a CD drive at all, especially given the current lust for controllers. It’s a fair point, which is why Pioneer has listened to the market and released the XDJ-1000: a CDJ without a CD player. 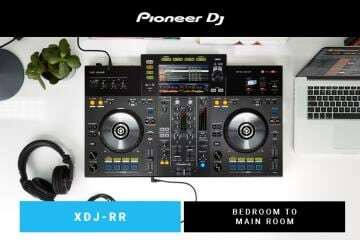 The XDJ-1000 is completely reliant on digital media instead, which can be loaded from a USB drive or over a wired network from another XDJ-1000 or a Rekordbox-enabled computer. Like Pioneer’s Rekordbox-enabled CDJs, the XDJ-1000 promises DVS convenience with hands-on CDJ practicality and no need for a laptop, but how does it perform in practice? The Pioneer XDJ-1000 is a replacement for the CDJ-850, a CDJ that let you play Rekordbox-analysed tracks from a USB drive but didn’t let you use quantised loops, which is surely the main benefit of analysing tracks in the first place. Quantised loops let you create incredibly tight loops that take much longer to go out of phase when mixed into another track playing at the same BPM. This means you can pull off some pretty nifty mixes or layer recurring samples over a mix without having to maul the jog wheel every couple of seconds, as you would with a non-quantised loop, such as that on a CDJ-1000. As the XDJ-1000 is fully compatible with Rekordbox, you can use quantised loops to your heart’s content, although the XDJ-1000’s looping system isn’t perfect as I’ll discuss later. There’s more than just quantised loops to excited about, however, as you also get hot-cues, recallable cue points and two waveforms, one long one showing peaks and troughs and another higher-resolution waveform that shows more track detail for a particular section. You can select tracks using a number of different criteria and search for tracks alphabetically on the XDJ-1000’s pressure-responsive colour screen. You can also link up to four XDJ-1000s together and sync their BPMs by selecting a master deck with the other decks operating as slaves. You can then use the XDJ-1000’s beatjumping feature to move a loop up to four beats in either direction in one jump. Sadly, we only had one XDJ-1000 due to a shortage of review units, so we weren’t able to test the linked features of the XDJ-1000. If we get hold of a couple or more in the future we’ll update this review. Considering that the XDJ-1000 doesn’t cost much more than the CDJ-850 did when it first came out, the XDJ-1000 seems incredibly good value. The XDJ-1000’s control surface certainly looks like that of an 800-series CDJ, with the familiar 206mm jog wheel, pitch fader, track navigation buttons and play and cue buttons. The pitch fader has a centre detent, just like other 800-series CDJs, which may prove irritating to some. As someone who likes to mix primarily and indulge in a bit of scratching every now and again, I had no problem with the centre detent. You can switch the pitch range between 6%, 10%, 16% and Wide, and the XDJ-1000 also has a master tempo button to prevent the sound of a track warping as you increase or decrease its tempo. The Play and Cue and track selection buttons work exactly as they do on regular CDJs. Like the CDJ-800, CDJ-850 and CDJ-900, and unlike the CDJ-1000 and CDJ-2000NXS, the XDJ-1000 lacks jog wheel tension adjustment, so you have to make do with the standard tension. This isn’t a problem if you just want to mix, but it did mean that it took me a while to adjust to the different feel compared to that of my CDJ-1000 when scratching. Everyone has their own preference when it comes to jog feel, so it’d be good to have some way of modifying it to your own taste. Also when scratching, I found that the XDJ-1000 would sometimes take a moment longer than I’d expected to start playing again. We’re talking a very short space of time, and probably less than a second. It only happened every now and again and it’s possibly a performance issue on my part, but it doesn’t happen on my CDJ-1000MK3, didn’t happen on the CDJ-2000 and I’d rather not experience it. As with similar CDJs, such as the CDJ-850, there’s a button for switching between Vinyl mode and CDJ mode. Unlike the CDJ-1000 and CDJ-2000NXS, there’s only one pot for changing the start-up and wind-down speed, which means you can’t have a satisfying Technics-style wind-down without having a slow start-up. This meant I twisted the pot to the far left for instant start-up and stops, which wasted the feature. Sure, it’s possible to get into the habit of moving the dial when you want a wind-down for effect, but I’d rather have two pots. In fact, there’s no reason why the couldn’t be one pot for stop speed only. The Pioneer DDJ-SZ has such a feature, for example. There’s a Reverse button, too, which works well with Slip mode. 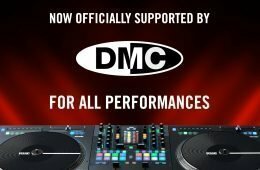 Pioneer says the XDJ-1000’s scratch emulation is the same as that of the CDJ-900NXS and CDJ-2000NXS. I trialled the XDJ-1000 alongside a CDJ-1000MK3 and couldn’t tell the difference in sound. I’m mostly happy with the XDJ-1000’s control surface, and you’ll certainly have no problem migrating from a pair of XDJ-1000’s at home to a CDJ-1000, CDJ-900NXS or CDJ-2000NXS in a club. The XDJ-1000’s large, seven inch pressure-sensitive touchscreen is laid out to good effect, with menu buttons occupying the left-hand side and top of the screen, specific screens appearing in the middle and items you’d expect to see on a CDJ, such as a long waveform, pitch range and the position of cue points are positioned at the bottom. The icons are well designed, with buttons appearing as squares or rectangles that are decently sized and separated so that you have no trouble hitting the button you meant to hit when mixing. Moving from screen to screen is mostly easy thanks to a Back button, but there were times when I’d get stuck in a screen because you have to press the menu button screen twice to exit it. You get used to the way the screens work, especially because almost everything is done and accessed through the screen, but it can be confusing initially. The buttons at the left-hand side of the screen let you choose an audio source, such as an attached USB drive, a Rekordbox-enabled computer and a linked XDJ-1000. The buttons at the top let you perform specific functions, such as browsing or searching for a track, altering settings and seeing info and artwork for a track. Perhaps the most important button is the Perform button. Ordinarily, the centre of the screen is filled with a large waveform showing the currently playing section of a song so that you can see the waveform, upcoming breakdowns and so on more clearly. Press the Perform button and the waveform is replaced with a set of hot-cue buttons and two buttons for setting and deleting hot-cues and hot-loops. Conveniently, you still get a large, side-scrolling waveform in the Perform screen, although it’s a half-waveform. Only time will tell how age and accumulated dirt and grease will affect the XDJ-1000’s touchscreen, especially with it being pressure-sensitive rather than capacitive, but it remained responsive throughout the test period and didn’t give us any cause for concern. We’d obviously prefer to have physical hot-cue buttons that you can press without having to enter a specific screen, but considering that the XDJ-1000 is not a flagship media player, and the CDJ-850 had no hot-cues at all, we’re extremely pleased to see them here. The hot-cue buttons are highly visible, and if you press a hot-cue button the XDJ-1000 jumps to the relevant cue point immediately with no lag, although you will have to take care when pressing the buttons in quick succession. We sometimes had trouble when hot-cue drumming, for example. With a bass drum assigned to the first hot-cue button and a snare assigned to second hot-cue button, and with Quantize disabled, we’d occasionally press the second hot-cue button and nothing would happen because we’d pressed it too soon after pressing the first hot-cue button. This may well be a minor concern that’ll affect very few people, but it’s something that hasn’t happened when we’ve done the same thing on a CDJ-1000 or CDJ-2000. This could be a limitation of the screen, but it felt like a software issue. 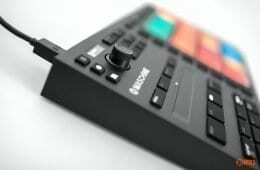 However, those with no desire to mistake the XDJ-1000 for an MPC-1000 will find the hot-cues invaluable and a real asset when performing edits or jumping to loops. The XDJ-1000 has a wonderfully comprehensive looping system that makes it easy to create hot-loops that can be used to create unique edits. Even better it has Slip mode, although it doesn’t work as well as we’d like, as I’ll explain in a moment. You can create loops using the physical In, Out and Reloop loop controls, adjust the in and out points and create a 4-beat panic loop by pressing the In button for around a second. The physical controls are great for creating loops quickly, but there’s also a wealth of loop controls on the touchscreen. The Loop Mode button is always apparent at the bottom left-hand side of the screen. Press it and the long waveform is replaced by a set of buttons that create loops from ½-beat to a 16-beat loop. Sadly, there’s no ¼-beat or 1/8-beat buttons, but there are two other onscreen buttons that let you reduce or expand the size of a loop between a 1/128-beat loop to the rest of the track. Indeed, you can loop a whole track, should the mood take you. Loops are clearly highlighted on the central waveform and appear grey when you exit them, and you can commit loops to memory using a hot-cue button or by storing them in general memory to be recalled with the Loop Call buttons at the side of the screen. You’ll need to use Rekordbox-analysed tracks to benefit from quantised loops, but the all the loop controls will still work with non-analysed tracks. The XDJ-1000 also benefits from the much-loved Slip Mode, which lets you create loops, use the reverse button, manipulate the jog wheel and so on without upsetting the flow of the track. This means that you can press the reverse button for the final bar before a breakdown, for instance, and the track will enter the breakdown once you’ve turned off reverse. Doing the same thing without Slip Mode would mean that the track would resume two bars away from the breakdown, which would sound weird, confuse your crowd and be pointless. Press the Slip Mode button and the long waveform at the base of the screen is again replaced by a set of loop buttons in the range is 1/8-beat to 1-beat. Unlike the Loop Mode presets, a Slip Mode loop only runs for as long as you press the loop button. That means that if you want a ¼-beat loop to play for a bar you must keep your finger pressed on the ¼-beat loop button for a bar. This makes the Slip Mode buttons ideal for creating Roll effects and stuttering from a ½-beat loop to a ¼-beat or 1/8-beat loop at the end of a phrase before entering a breakdown, for example. However, Slip Mode proves annoying if you’re already running a loop before entering it and you just want to stutter a shorter loop every now and again within the loop. If you’ve created a 16-beat loop, for instance, entering Slip Mode and pressing a loop button will switch off the outer loop. What we’d like is to be able to create a 16-beat loop, for example, enter Slip mode, press the ¼-beat loop button and then return to the 16-beat loop. We’ve suggested this to Pioneer, so hopefully we’ll be able to do this after a future firmware update. Despite the slight annoyances with Slip Mode, we’re extremely pleased with the XDJ-1000’s looping system, which gives us DVS levels of convenience and control without the need for a laptop. Press the Perform button and you can even beat-jump back and forth between one and four beats. 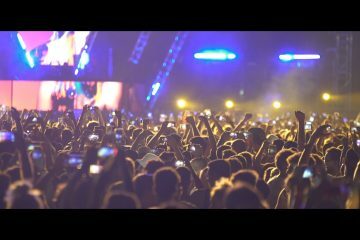 Given the vast amount of tracks that can stored on a USB flash drive or dragged from a linked Rekordbox computer, it’s important that you can find tracks quickly and efficiently. Thankfully, the XDJ-1000’s browse menu devotes a lot of space to track lists and track info. When you first enter the Browse menu you can look for tracks by folder, album name, key and so on, and from there you scroll through the list of tracks using the rotary selector. You can even sort by a further category in some lists, perhaps sorting the list of tracks by key or rating. If you choose to search for a track by key, you can also see tracks in compatible keys, which should prove handy for harmonic mixers. You can see the full info for a track at any time by pressing the Info button at the top of the screen. This shows you the full artwork for the track, the track’s full name, the artist, key and the track’s length, among other things. You can even search for a track using a QWERTY keyboard, and the CDJ-1000’s wide screen made using the keyboard a pleasure. You can load tracks from a variety of sources, as already mentioned, but you can’t play tracks from an iPhone or iPad unless you’re running the Rekordbox app (available for iOS and Android), and even then you’ll have to import tracks on your iOS device into Rekordbox before you can play them. You also have the option of exporting tracks from Rekordbox on a computer to your iOS device, even wirelessly. To view a detailed waveform of a track imported from your iOS device’s track list you must analyse it using the Rekordbox app’s Prepare feature. You can also use the app’s Prepare feature to create hot-cues and hot-loops on tracks imported from your phone or tablet, but when we did this for a track and loaded it onto the XDJ-1000, we couldn’t trigger the loops, even though the loop and cue points were listed on the long waveform at the bottom of the screen. We’ve had a word with Pioneer about this and it said this was probably due to the “Autoload Hot-cues…” switch not being set on the Rekordbox app. The XDJ-1000 had already gone back by the time we heard this, so we weren’t able to check it. It’s handy to play tracks from a phone or tablet, but it’s easier and more efficient to use a USB flash drive. 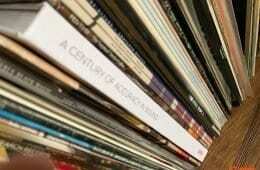 Rekordbox has come a long way since the ropey first edition. Indeed, the fact it now has a crossfader and synchronisation and phase adjustment buttons means it’s a pretty good and free introduction to DJing in its own right. 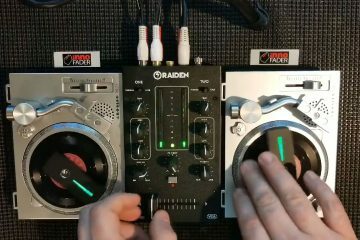 As mentioned earlier, you can play tracks from a Rekordbox-enabled computer over a wired network connection. To do so you simply need to press the Rekordbox button on the XDJ-1000’s touchscreen and press the rotary selector to enable the connection. Press the Link button in Rekordbox and your XDJ-1000s will show up at the bottom of Rekordbox’s screen on your computer. From there you can use the XDJ-1000’s touchscreen to find tracks on the Rekordbox computer and use it as remote track storage. Whenever you create a hot-cue or save a loop for a track on the XDJ-1000, the loop or hot-cue will appear in Rekordbox, which means you don’t then have to re-import a track from a USB flash drive to update Rekordbox’s cue and loop info on a track. Rekordbox provides a lot of flexibility in the way you integrate a laptop into your workflow, and you incorporate a laptop to greater or lesser degrees, the choice is yours. At the time of writing there is no HID support for Traktor, but there is HID support for Serato DJ from version 1.7.3. Sadly, our unit had gone back by the time Serato DJ 1.7.3 became available. The lack of HID support for Traktor may put off some potential buyers, but it’s difficult to get too upset about it. The XDJ-1000, along with the CDJ-900NXS and CDJ-2000NXS are designed for standalone use, providing all the DVS-style features modern DJs demand while freeing users from the laptop. I can understand why it’s necessary for a player such as the CDJ-2000NXS to have HID support, as clubs and bars need gear that supports DJs with a wide variety of needs, but I can’t help thinking it defeats the purpose of the XDJ-1000, which is designed primarily for home and mobile use. The XDJ-1000 is MIDI compatible. The XDJ-1000 outputs audio through a stereo pair of RCA connectors only; there’s no digital coaxial output. There’s also a Fast Ethernet connection for linking your unit to other XDJs, CDJs and Ethernet-enabled Pioneer mixers, as well as Rekordbox-enabled PCs. 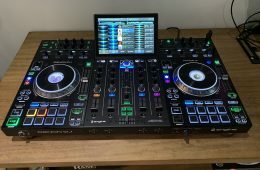 The XDJ-1000 has two USB ports, one a type-A port for connecting USB flash drives, smartphones and so on, and a type-B USB port for connecting your XDJ-1000 to PC for use as an audio interface and MIDI controller. 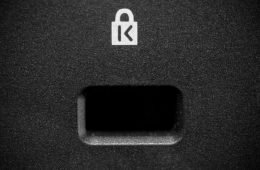 This is a good selection of ports that provides users with a lot of flexibility, and although we’d like a digital coaxial output we didn’t miss it. 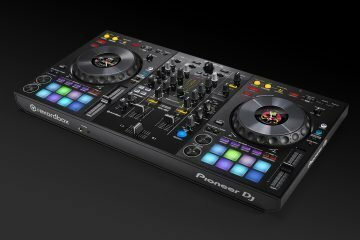 Pioneer claims the XDJ-1000 is a “springboard from the bedroom to the DJ booth”, and that’s a fair comment, although it assumes that your first gig will be at a club with a brace of CDJ-2000NXSs when chances are it’ll be at a bar with CDJ-1000s or perhaps an all-in-one console such as a Numark CDMix. Certainly, with the XDJ-1000 you can create playlists for sets, create hot-cues and loops and then export your tracks to a USB flash drive for use on a pair of CDJ-2000s. You can practice your set safe in the knowledge that you’ll be able to replicate it on a club’s CDJ-2000s, albeit with the benefit of physical hot-cues. 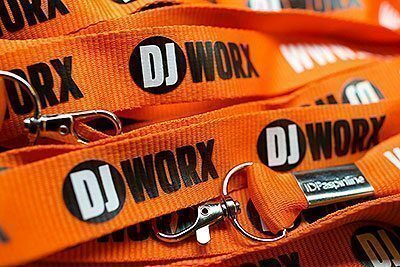 I’m a big fan of DVSs and computer-based DJing in general, as is the rest of the DJWORX team, but there’s no denying the freedom afforded by standalone decks such as the XDJ-1000. These units give you two waveforms to see upcoming track events, they let you create tight, quantised loops on the fly or when preparing your set in Rekordbox, and they make choosing the next track a doddle. Use the XDJ-1000s and no-one will be able to accuse of you of reading an email instead of mixing, unless you genuinely are looking at an email while playing tracks from a phone. Not having to use a laptop means you can use the decks when your wife’s borrowed your laptop, or it’s broken, or it’s a work laptop that’s so full of random software that it struggles to run DJing software at all. 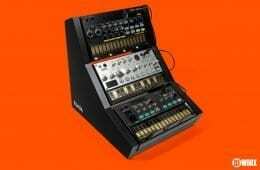 Indeed, we ran Rekordbox on an Intel Atom-based net-top computer to see how it would cope, and we had no trouble preparing tracks with loops and hot-cues then exporting them to a USB flash drive. However, the positives far outweigh the negatives, with the large touchscreen being well-designed with loop and Slip Mode controls always on-screen. You can quickly change source using the three buttons at the side of the screen, and the colours used make everything on-screen easy to distinguish. The XDJ-1000 sounds good, too. Still, £829 is a lot of money for one media player, and we did miss the CD slot. Such is the force of habit I’d sometimes try to shove a CD into it. As much as I love and covet the CDJ-2000, I’ve always recommended the better-value CDJ-900 for home use in the past. 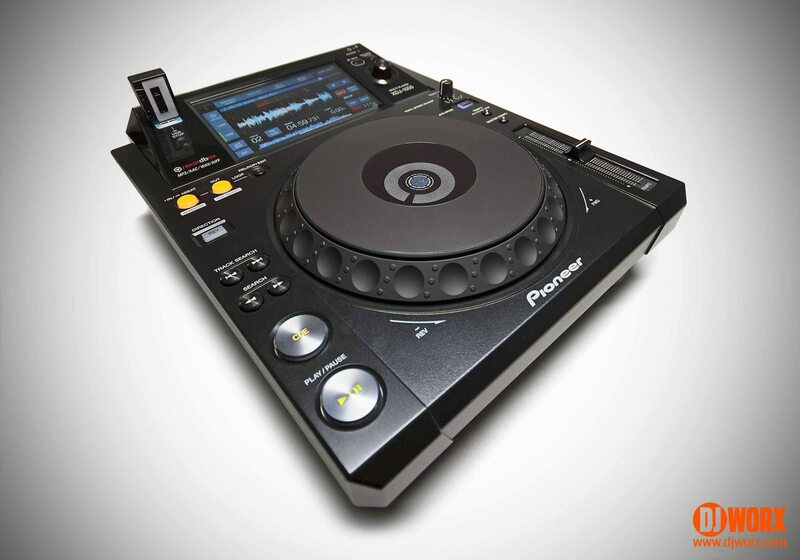 Now, though, I’d have to recommend the XDJ-1000. If you already have decks and a mixer then it’d be cheaper to buy a DVS, and if you’re new to DJing then it’d be cheaper to buy a high-end controller such as the NI Kontrol S8 or Numark NV rather than a pair of XDJ-1000s. However, if you already have a mixer, amp and some CDJs then you’ll probably find the XDJ-1000 very appealing. Indeed, the modular nature of the XDJ-1000 means it’ll easily fit into a setup, even if you only get one initially with a view to adding another at a later date. We had no trouble using one along a CDJ-1000MK3, for instance. Quality – Feels as good as any other Pioneer CDJ, and the screen worked fine. Features – Has all the DVS-style features users demand and track selection is a doddle. Value – Not cheap, but certainly a lot cheaper than the CDJ-2000NXS . Pros – well-laid out screen, a wealth of performance features such as Hot-cues and Slip Mode, Serato HID support, a workflow that translates to the CDJ-2000NXS and no need for a laptop make this player ideal for those with existing gear who don’t want to use a DVS. Cons – The Slip Mode feature kicks you out of an existing loop if you try to stutter a sub-loop within it, while the Rekordbox mobile app is a nice idea but it adds complexity and many will prefer to use a normal USB flash drive with tracks exported from a Rekordbox on a PC. If you want the best features of a DVS without the hassle of a laptop and to adopt a workflow that translates to the CDJ-2000, you should buy a pair of Pioneer XDJ-1000s.